Punjabi food is not all about cashew and cream. So true. Being a Punjabi, no one knows that better than I do. But not many know and believe that to be true. 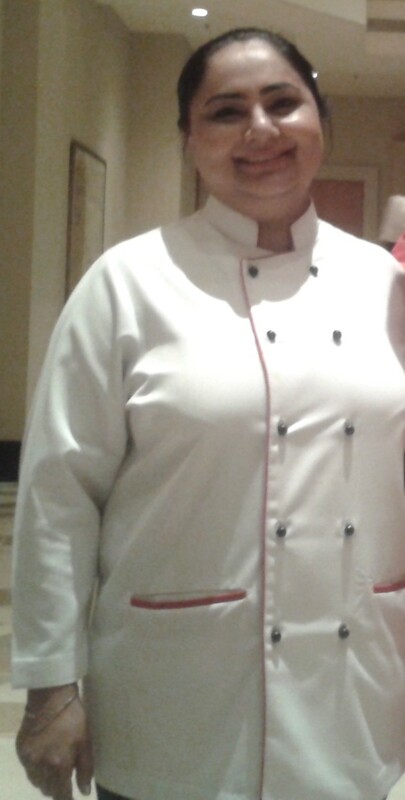 Seeing Master Chef Jyoti Arora debunk that myth and serve simple, ghar ka lazeez khana, at the Rasoi, Lotus Café, JW Marriott Mumbai, was pure delight for the taste buds. She is a culinary magician. Dedicated, passionate and honest in her cooking. Her flavours were authentic, I could vouch for that. The ingredients used, fresh and wholesome and the recipes straight from mom’s kitchen. No short cuts or reeking of commercialisation. There is clearly no compromise for Jyoti Arora. The entire meal was not just a gastronomic journey for me, but one of pure nostalgia. As, having lost my mother, many years ago, I miss this kind of cooking. What was interesting was that she does not try too hard for a fancy presentation too. It is rustic and robust food that she serves. so confident is she of her cooking and the taste of the food that nothing else matters, I guess. Each dish was painstakingly and lovingly prepared. But I shall not detail each of those masterpieces. I am going to pick my three favourites, that made the meal special. Pede ki lassi, Gur ka halwa and Katlamae. Pede ki lassi was no ordinary Lassi. Naturally, with the addition of the Peda aka, sweet or mithai made from khoya or mawa, that too from Amritsar. Thankfully it was not sickeningly sweet, yet delicious. It not only quenched one’s thirst but also appeased the taste buds. Heavy undoubtedly, but I was not complaining. Unforgettable. It was the perfect start to a memorable meal. Katlamae or the Indian flatbread, typical of Amritsar. Karah Katlama is famous duo. The local halwa of Amritsar is generally eaten with this bread. Chef Jyoti’s version was luscious. Crispy, yet soft, the katlamae paired amazingly well with the halwa and chole. Reminded me of my childhood instantly. The gur ka halwa instantly won my heart. Generously laced with ghee, it had the distinct flavour of gur or sugar cane jaggery and simply melt in the mouth. Someone who even does not enjoy sweets too much would be bowled over by this one. What can I say of the experience? I was savouring Master Chef Jyoti’s meal for the first time. It was an evening I will not forget easily and my taste buds most certainly, never. American pizza has never appealed to me. Yes, we have all grown up eating a slice of thick, spongy pizza, with toppings, but ever since I tasted the real Italian pizza, my palate only craves for that. Not surprising therefore, that I have been waiting for Pizza Express, the pizza chain renowned worldwide for its authentic Italian taste. It’s another thing that it makes me nostalgic about London too ! 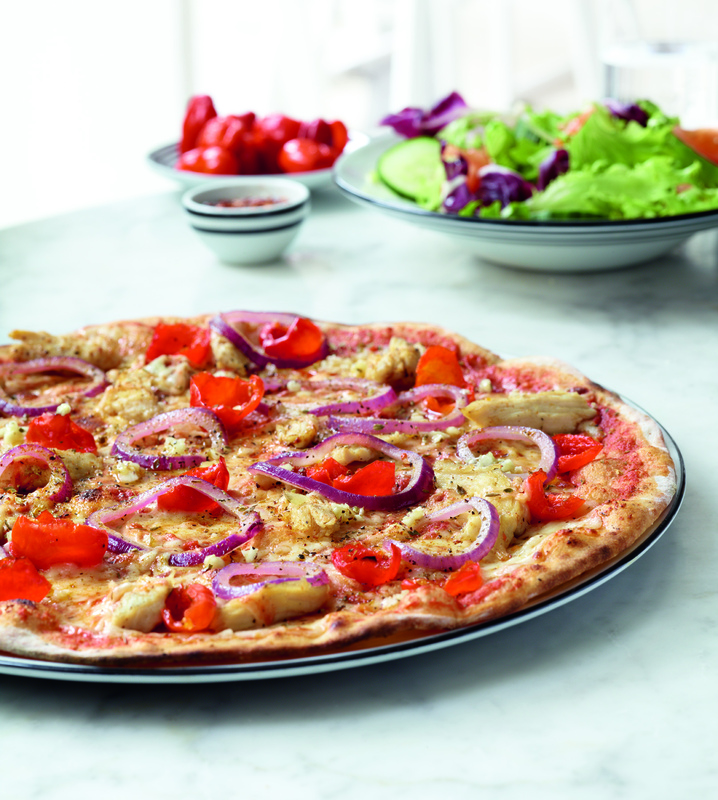 PizzaExpress has positioned itself as a casual dining restaurant. Its outlets have a live kitchen where customers can watch the making of a pizza live, interact with their chefs and spend hours over slices of pizza. I did just that, last weekend. The Andheri West outlet, was buzzing with people that night. Families were busy dining and of course enjoying the Pizza and pastas. Comfortably seated, we placed our order and soon, our Bosco salad arrived. Hearty portions as always. The salad was fresh and robust. Roasted tomatoes, spinach, rocket, and more. It was delicious. The right amount of crunch and zing. I simply loved it. Four Seasons, the classic pizza arrived. Mushrooms, pepperoni, anchovies and olives and capers. Whew! An interesting quartet! The contrast of the four was interesting as the palate was subjected to a treat. Only found the anchovies a wee bit salty. Polo Ad Astra came next. The thin crust was so reminiscent of the perfect Italian pizza. The grilled chicken had an unusual flavour and the sweet peppers, Cajun spices et al only further enhanced the taste. Outstanding. La Reine with ham, mushrooms, olives and mozzarella I thought would be the best, but alas it was not. It lived up to my expectations but did not surpass them. Lacked the punch somehow. The Cipolla Caramellata more than made up for all. The sweet flavour of caramelised onions teased my palate enough to be able to enjoy the taste and texture of walnuts, artichokes and mozzarella. The ingredients used are authentic and of extra ordinary quality. True to the core. The service, despite the heavy rush was flawless. The menu did not have any beef offerings and had clearly more vegetarian and spicy varieties to appeal to the Indian palette. Even chilli flakes are never there in the London outlets I have been to. We decided to skip pastas and desserts for a change. The menu offers several options though. The pizzas had satiated us enough. With outlets in Colaba, BKC and Andheri West, Pizza Express has a fairly good reach and given the quality of their food and service, they are bound to cause discomfort among other Pizza chains. Mumbai is a haven for foodies. I am not talking about restaurants only, but it’s eclectic street food. There is so much to choose from. Vada pav, behl puri, omelette pav, sandwiches, pav bhaji, keema- kaleji et al. There are several typical places for these delicacies although one gets these at every street corner. Those apart, I recently sampled delectable street food at The Beatle Hotel in Powai. Chef Prashant Tikadia, is a culinary wizard and have known him for years. His ability to innovate and yet, serve authentic food never ceases to amaze me. Baida curry, pav bhaji, masala tawa kobdi, vada pav, chaats, fish fry, usal, he had them all, but served them interestingly with a twist. The flavors were reminiscent of the ones you get on street side joints. I was instantly transported to different parts of Mumbai- Mohammed Ali road, Thane, Tardeo and so on. The spices were cleverly used and the texture, taste and flavours were recreated to perfection. The food was rustic and robust. What’s more, the ambience in the restaurant was accurately created too. Each dish had a separate stall, so that one could pass by and savour what one wanted. Of course you could serve yourself, be comfortably seated and relish your food. The attentive staff, their quick service, further made it a memorable dining experience. With oodles of calories added, I stepped out, satiated, albeit not without guilt. 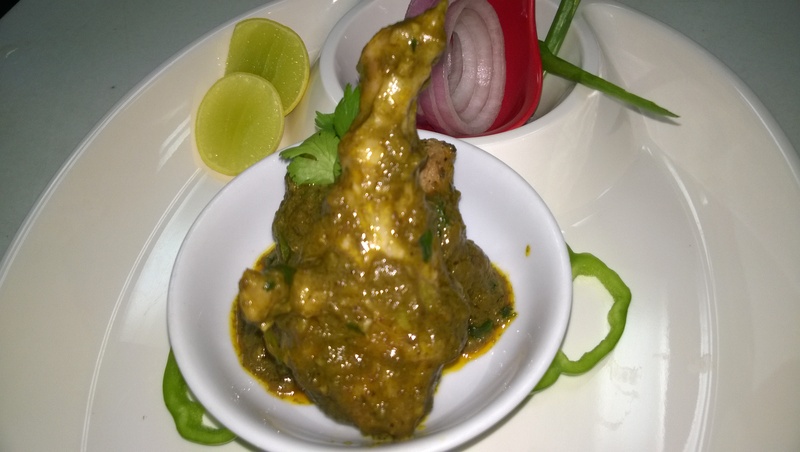 Here is Chef Prashant Tikadia’s recipe. My favourite that night. Try it! @ for tawa masala heat oil add chopped garlic and fry till light golden in colour , add ginger and cook for a minute, add rest of the ingridients , add 200ml water and allow to simmer on low heat . @ add cooked chicken to above masala and mix well .simmer over low heat and sprinkle sundried cococnut powder .adjust seasoning.